Working across time zones can give you more hours in the day. Tekla Model Sharing allows Tekla Structures project teams to work efficiently together regardless of their location or time zone. It enables efficient global collaborative modelling within one Tekla Structures model. All users contribute to the same model, working around the globe during their office hours in different time zones while the model keeps building up all the time. The solution adapts to any Internet connection speed, and you can edit the model offline. Safe and Practical - the Tekla Structures model data is stored safely and transferred encrypted. 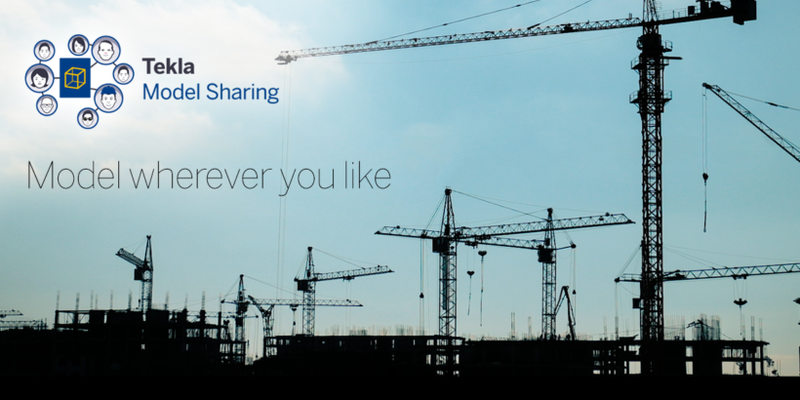 The model data is safely stored locally on each team member’s computer and then synchronized with latest changes globally via the Tekla Model Sharing cloud service hosted by Trimble.